The Berkshire breed, which yields the most succulent, flavorful pork available anywhere is famous internationally and purchased as a delicacy around the world, due to its superior flavor and texture. Naturally pasture raised without antibiotics or hormones, these happy hogs develop a deeper, richer flavor profile. 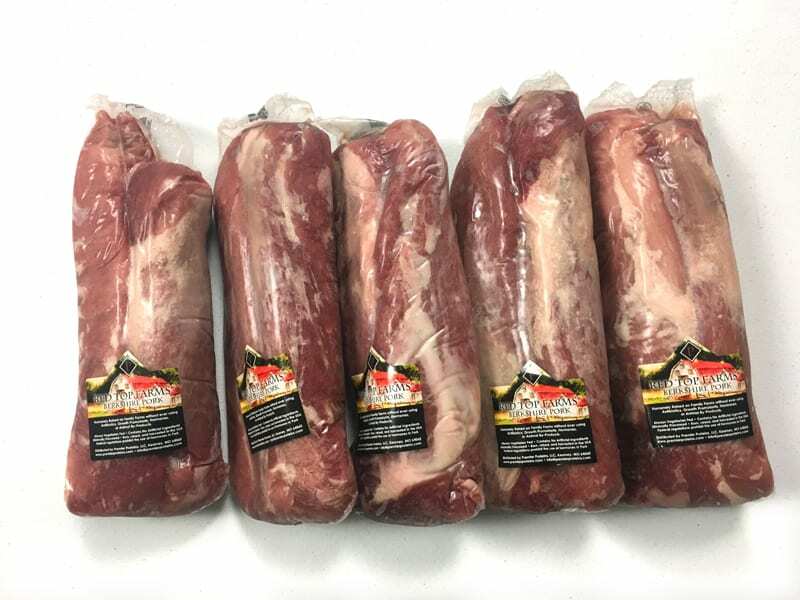 Berkshire Pork tenderloin is the filet mignon of pork – melt in your mouth tender, with a deep, juicy flavor unlike any other pork. Right now you can a whole case (10 whole tenderloins) for only $49 – that’s only $4.90 for each whole tenderloin – a fraction of what Berkshire pork costs anywhere else! Take your tastebuds into the stratosphere and make dinners you’ll be talking about for years. Very tender and fresh meat. My toddlers enjoy every bite. Highly recommend!